Protected cloud hosting is the modern method of hosting. It enhances access to pools. These are shared resources in computing, that can be configured any time with little managerial effort, usually happening over the internet and relating to networking, servers, applications and storage services. It depends on resource sharing to enhance consistency and reduction in running costs. The concept used here means that resources needed to maintain one’s website spread across many web servers and are provided as need arises. This extremely reduces any chance of hang-ups or breakdowns in case the servers fail to function properly. The term “cloud” in cloud hosting refers to the fact that one’s website depends on several other servers in a cluster and not just one. This is derived from the fact that an alternative server in the cluster can provide resources when the website is faced with issues of bandwidth, which enables one to load efficiently in case of a hitch in one server. This is one of the most significant aspects of hosting. In case of an overload scenario in any of the server within the cluster of servers, an alternative server kicks in temporarily to give a backup and provide the needed resources. And, as elaborated earlier, each of the servers within the cloud assists in performing particular tasks. For instance, in an office environment with several workers, one would only need a single application on one computer. This application will enable workers to sign into a web service which is hosting all the programs needed by the workers for their job. This demonstrates the aspect of data protection and efficiency. Google is one of the best examples of cloud hosting. With widespread resources over many servers in the cloud, it is rare to witness the Google search engine facing breakdowns. There are several benefits of hosting servers in a cloud such as balancing responsive loading – a change in demand can affect loading since it depends on software. Any problem attributed to excessive loading is well solved in the cloud. Cloud hosting enhances reliability. 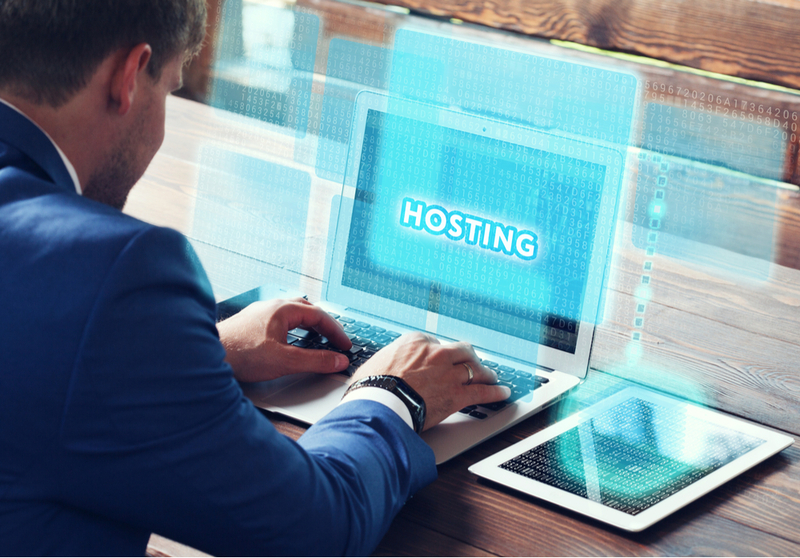 Availability is guaranteed in case one of the servers goes offline, due to the fact that hosting here is done on a virtual partition whose resource gets drawn, such as space on disk, from a large network of underlying servers. Utility Costing – Clients do tap to services whenever they need to, depending on their needs at any given particular time, which results in savings in cost since one only pays for what one needs to use. Cloud hosting and the internet go hand in hand. The two are different but only by a small margin. The cloud can be referred to as a tiny piece of the extensive internet. The idea comes out more clearly when we view the internet as one cloud system which is macroscopic. They have both emerged from a necessity for connection between human beings all over the world. In reality, the relationship between the two is the builds the framework for the internet in the future.